I’m pleased to announce here that an archaeology exhibition opens on Good Friday at Kiplin Hall near Catterick, North Yorkshire and runs until 28 October. One-thousand-and-one finds will be on display tracking the prehistory and history of the hall and its estate from the Mesolithic to WWII. 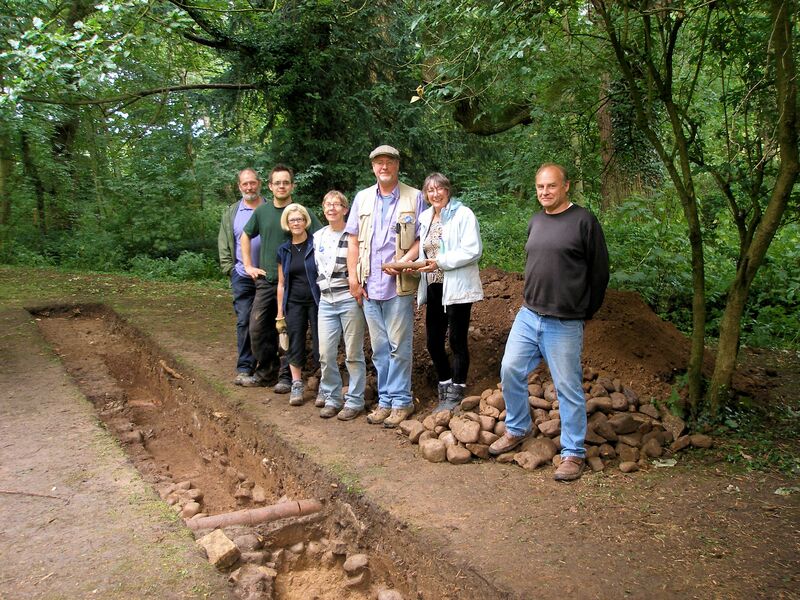 This was a fantastic community dig to be involved in last year, truly cross-community, generations and backgrounds, including students from Maryland University. Hopefully there’ll be some great pictures from the inaugural open evening event just before the public launch (my esteemed professor will be there, so I’ll need to prep!). The monograph on the 2014 excavations is due later this year with Jim Brightman, Solstice Heritage, pulling together the specialist reports, including the prehistoric flint and chert lithics by you know who. My favourite find, however, remains the racing pigeon leg-ring with serial number from the 1960s found in proximity to gun cartridges. Originally one of Easby Abbey’s monastic granges, Kiplin Hall is a gem of a stately home, trust and volunteer-run, with fantastic grounds, a huge lake, walled garden—you can often buy the lush produce—and plenty to see in a tranquil setting a few miles from the A1 near Brompton-on-Swale and Scorton. A watching-brief excavation in January this year, in a pipe trench, also seems to have revealed evidence for the pre-Jacobean manor’s demolition deposits. This entry was posted in British archaeology, Events and activities, Hunter-gatherer-fisher, Mesolithic, Microburin miscellaneous and tagged Charting Chipeling, Kiplin Hall, Solstice Heritage by Spencer Carter. Bookmark the permalink.